From the Mini Market, turn RIGHT onto W Broad St, and LEFT onto Old 209 Rd. Entrance to the OAO event space is a half-mile up on the RIGHT side of the road. The event space is over 2,000 acres of private land. You must be an OAO ticket holder to be on the property, and only during event times. 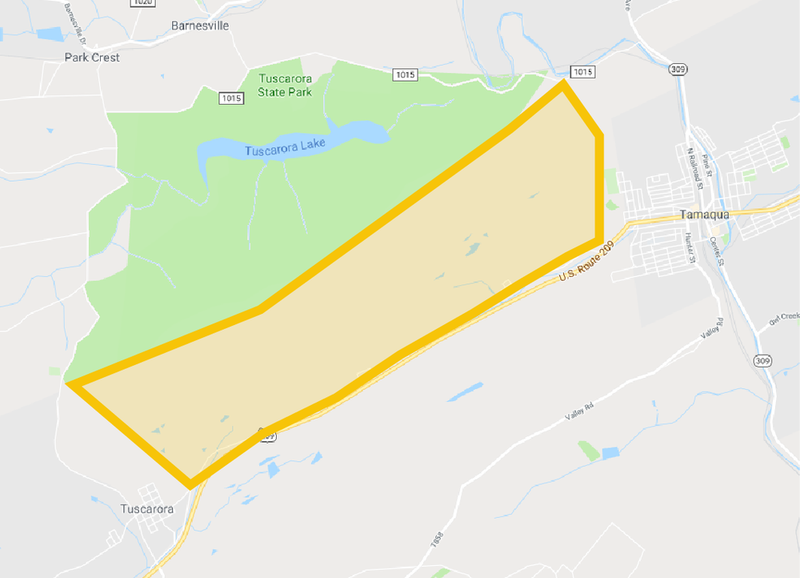 The town of Tuscarora, PA to the west and Tamaqua, PA to the east. To the north, we share a border with Tuscarora State Park, and Old 209 Rd spans the southern border. This event space is a primitive camping site; RV’s must be self-contained. More event space details to come!